The highly adaptable Colt 1000 Scalping screen is able to operate in both heavy duty scalping and precision screening applications and will manage the most difficult of materials. The Colt 1000 achieves a compact footprint maintaining the ethos of the EvoQuip range while achieving versatility and mobility. 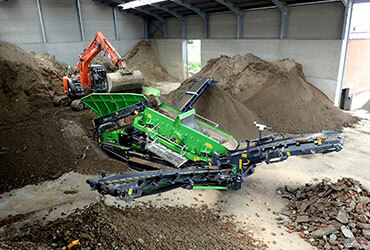 Flexibility is enhanced with configurable conveyor options and two way split conversion. 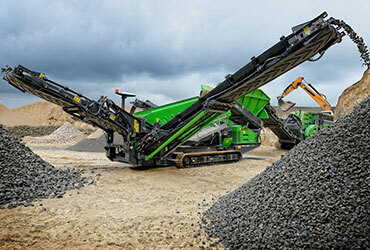 Featuring an aggressive double deck screen, variable screening angle with numerous screen media options, broad fines conveyor, quick set up time and tall discharge heights ensures the Colt 1000 distinguishes itself amongst its competition.